The release of the Stern Report two weeks ago, calling for eco-taxes and the curtailing of cheap flights, has caused a surge in online interest for global warming. 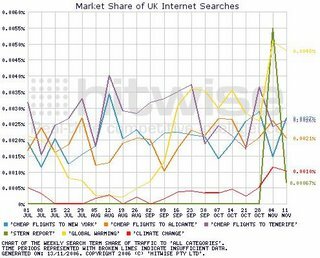 The share of UK internet searches for ‘global warming’ and ‘climate change’ each doubled the week the report was released (week to 4 November 2006). Average session duration for the HM Treasury website increased 1 minute 24 seconds in the week the report was released to 5 minutes 12 seconds, indicating that consumers were reading at least parts of the 700-page report. Will the Stern report dampen appetite for cheap flights? The following chart shows that searches for ‘stern report’ dropped back down last week, after a one-week spike. 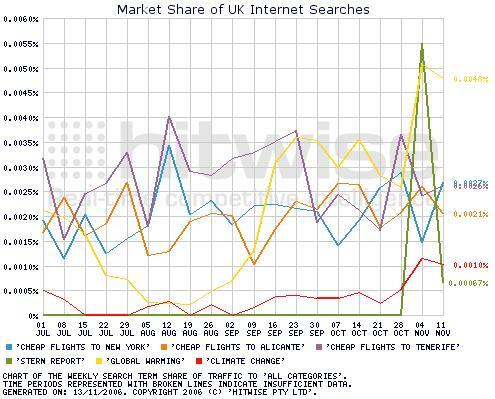 However, searches for ‘global warming’ remain high - ahead of searches for the most popular destination related searches that include the words ‘cheap flights’ - as illustrated in the chart below. [I found these terms using the Hitwise Search Term Suggestion report to find all the top search queries that include the words ‘cheap flights’]. The young seem to be most concerned about global warming. The share of UK internet visits to the HM Treasury website increased 3.5 times in the week to 4th November 2006 on the back of the Stern report and the percentage of visits from those aged 18-24 increased by 50% to 23.91%. There is much talk in the news media about global warming and the level of chatter has been increasing. According to Google UK News, there were 1,270 articles that mentioned "global warming" in from 29th October to 11th November, up from 518 for the two weeks before the Stern report. And, I should mention that Al Gore's powerful An Inconvenient Truth, was released before the Stern Report. 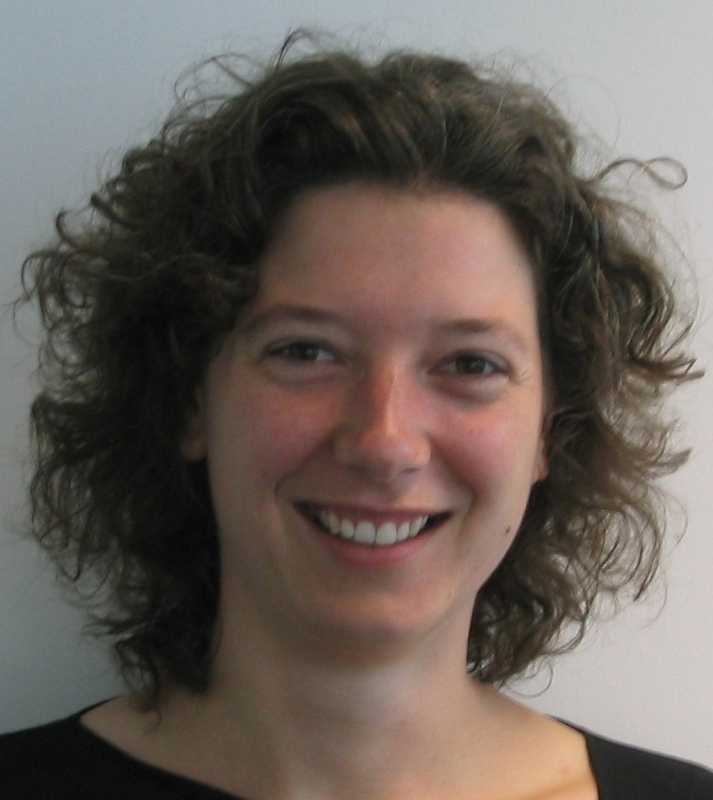 Concern seems to be growing about global warming and it will be important for the travel industry to watch whether this concern gains momentum in the lead up to the busy winter escape season. One way to monitor this is to watch the share of internet searches for global warming and related causes.